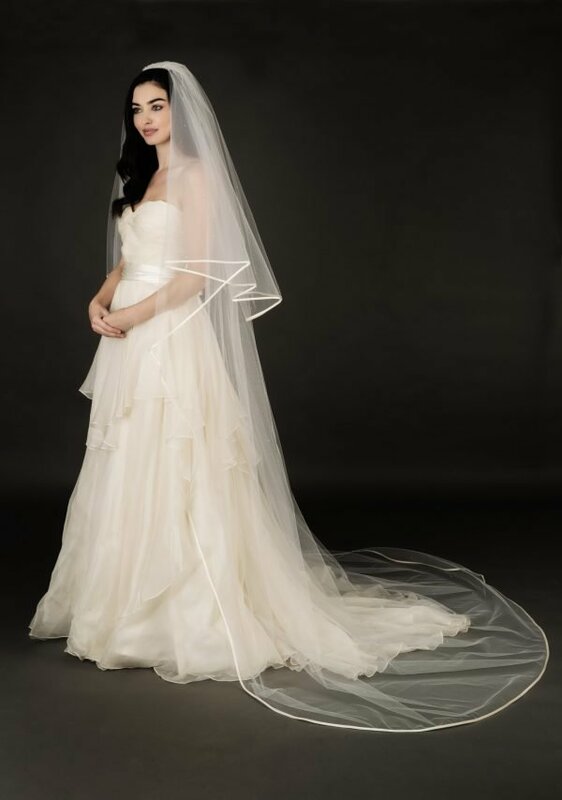 The Niamh Veil 2 tier chapel wedding veil is handmade using the finest luxury tulle with beautiful satin ribbon. 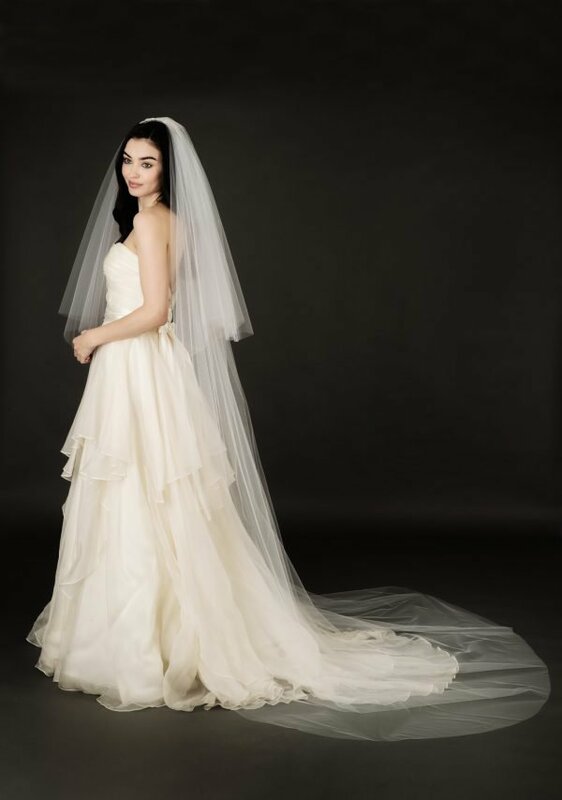 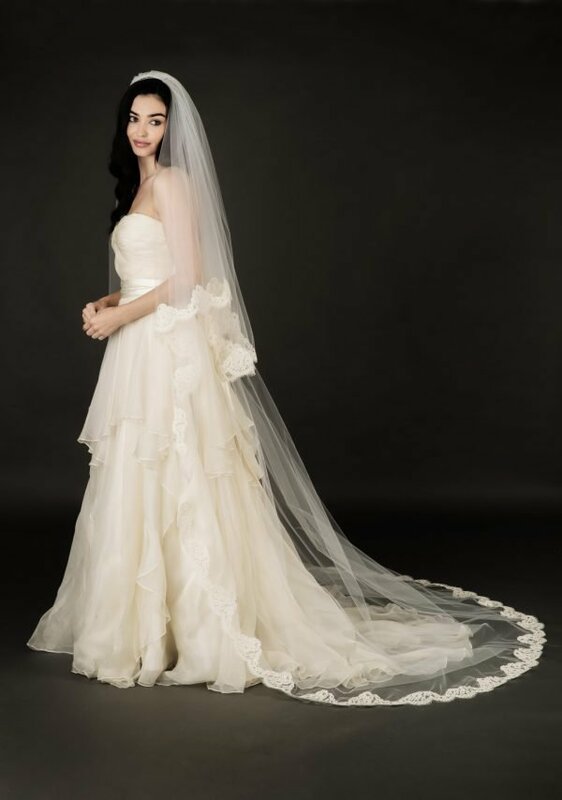 A beautiful veil, guaranteed to look fabulous on any gown, whether traditional or modern. 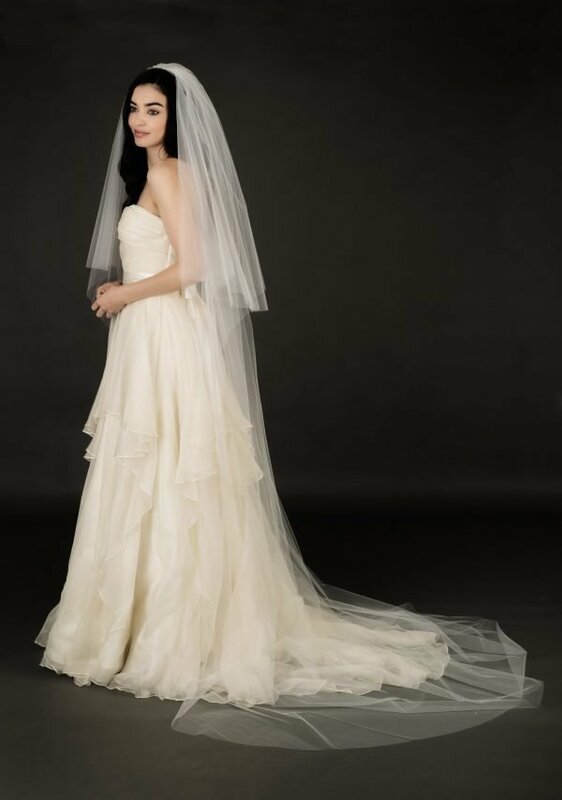 Simply beautiful, this 2 tier Mauve veil is a touch of luxury. 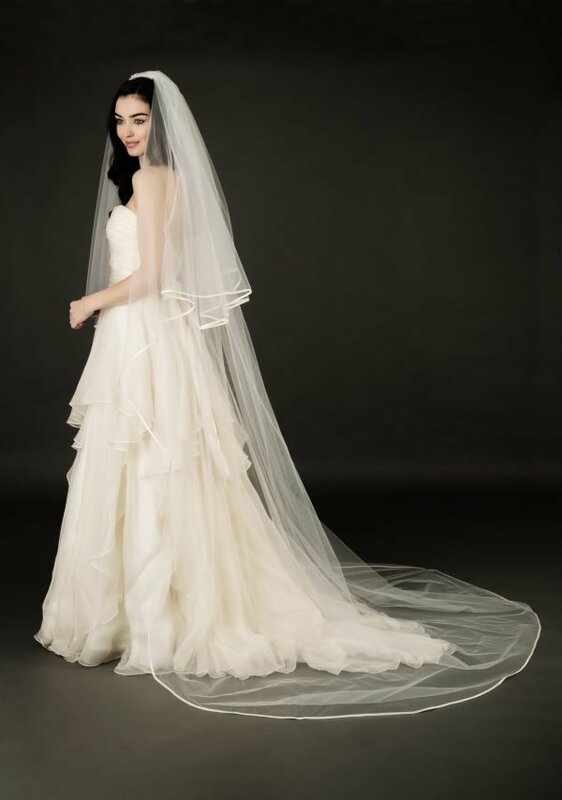 Ribbon edge with scatter crystals. 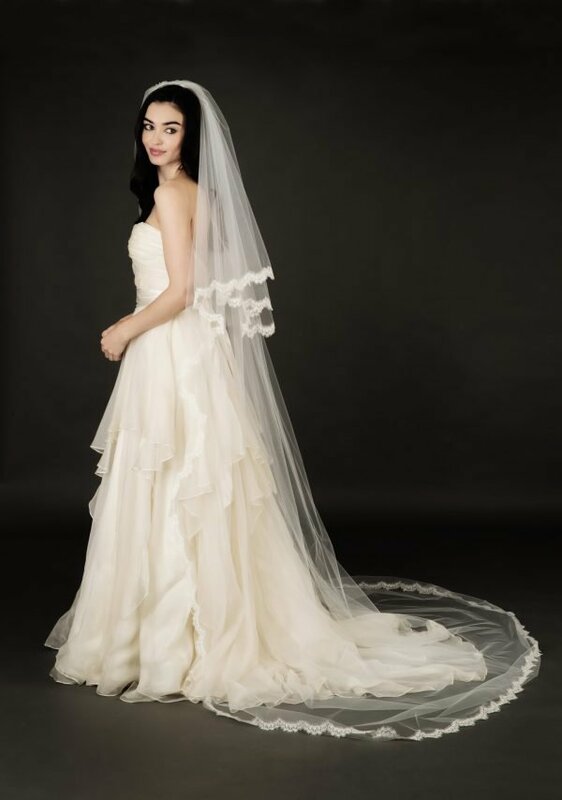 The Orlaigh 2 Tier Veil is made with soft tulle scattered with hundreds of Swarovski crystals applied by hand to create a dazzling sparkle to your Veil.